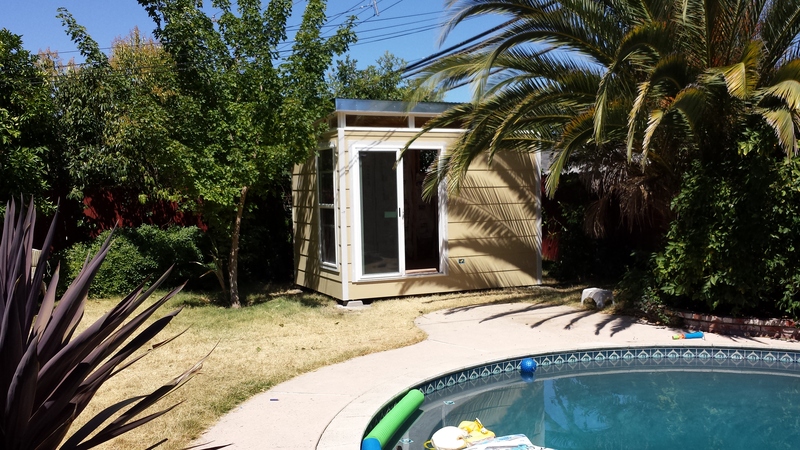 Todd from Sacramento was impressed with the professionalism of the Modern-Shed team. Sometimes we at Modern-Shed get a customer testimonial so awesome, we can’t help but sharing directly. Jerry and his crew just left. I couldn’t have asked for a better crew to install my shed. They were smart, friendly, fast and professional. Jerry was consistently open to any requests I had and quickly satisfied them, going the extra mile to suggest solutions I hadn’t thought of and leaving materials I hadn’t requested to help finish off the interior. He also offered to be available for advice on the phone. My six-year-old son was the crew’s constant companion and rather than rebuff him they made him feel like part of the team, giving him little jobs that he relished. And it doesn’t stop with the installation crew. Thanks to you, my experience of the sales process could be a textbook case for online sales. I was reluctant to hand over a large sum of money to people I’d never met for a product I’d never seen, but your friendly professionalism and experience gave me the confidence to close the deal – and it turned out to be the right move. I appreciate that you helped me find a way to get the shed without breaking my limited budget. I would very happily recommend Modern Shed to anyone who’s considering buying one. Feel free to give them my number as a reference, and to post this recommendation online. Thanks Mike – it’s been a rare pleasure.